Producing hydrogen in direct thermal water splitting requires new innovative material solutions. Creative Services has examined existing possibilities and identified new options. 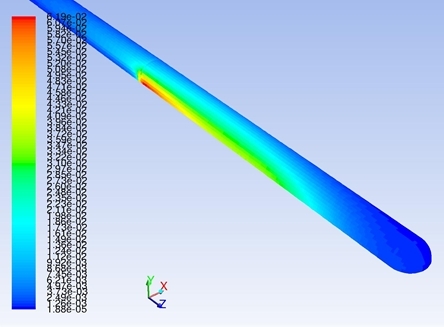 ANSYS FLUENT 3D-CFD simulation of oxygen permeation during test.